The long awaited and much anticipated Sandy Bridge architecture from Intel hit the ground running at CES just 2 weeks ago. This architecture promises better overall performance, the latest version of Intel Turbo Boost Technology 2.0, and great overclocking potential. Not only does this 2nd Gen series of processors offer a bump in speed but the integration of graphics chip and CPU has improved drastically. The original Core (i5) series with integrated graphics were less than acceptable for gaming and only average for today’s age of high definition multimedia. We need technology solutions that support the current explosion of digital media. The growing trend of digital media needs more power! How many of you use iTunes, Grooveshark, Hulu PlusHD, NetFlix HD Streaming, Amazon VOD, Blu Ray playback, or other multimedia services? These services demand CPU and graphics performance now. Gamers on a budget or those thinking green will happy to note the usable integrated graphics, early reports show promising results with PC gameplay on the 2nd Gen Intel Core series. Intel Released the first line in the new series, the 2nd Gen Core i5, at the CES conference earlier this month. 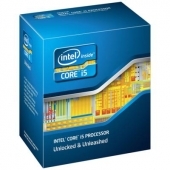 The 2nd Gen Core i5 is impressive and a welcomed upgrade to the existing Core i series. The existing core i5’s consist of a 32nm CPU and 45nm GPU combined onto the same die, this 2nd Gen version of the Core series is manufactured using the 32nm process for both the CPU and the GPU, translation: better GPU performance, roughly same size die, more transistors, more speed! Today we have an engineering sample of Intel’s 2nd Gen Core i5 2500K Sandy Bridge CPU, the K stands for ‘unlocked’ meaning overclocking is available and easy to implement! With a stock clock of 3.3Ghz, turbo of 3.7Ghz, 4 Cores, 4 Threads, and 6MB of L3 cache the 2500K is a serious power house that promises to deliver performance wherever you need it. From basic multitasking; web browsing, email, office applications; to PC gaming, high definition video playback, picture editing, online HD streaming, and more all available on Intel’s 2nd Series of processors. Oh did I mention the multiplier that can reach x63? Translation a possible overclock to 6.3Ghz is theoretically possible from this piece of silicon mastery. TAKING PRODUCTIVITY TO THE NEXT LEVEL; the 2nd Generation Intel® Core™ i5 Processor. 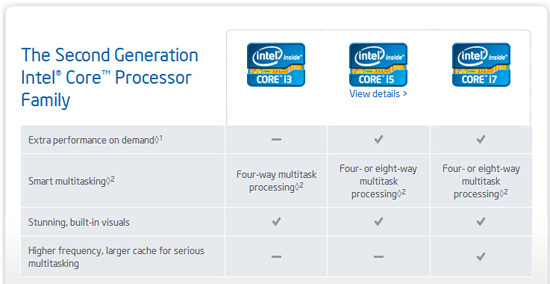 The Intel® Core™ i5 processor delivers the next level of productivity. With Intel® Turbo Boost Technology 2.0, this quad-core processor with 4-way multitasking capability delivers extra speed whenever you need it as well as security features to help protect information and data. Experience the advantages of great responsiveness and performance that automatically adapts to whatever you’re doing. Whether you use your PC for simple applications and photos or venture into 3D gaming and HD videos, now you can have a visibly better PC experience with the 2nd generation Intel® Core™ i5 processor.